Ever wondered what it is like to fly a plane, or sit in a cockpit of a Spitfire? Now’s your chance! 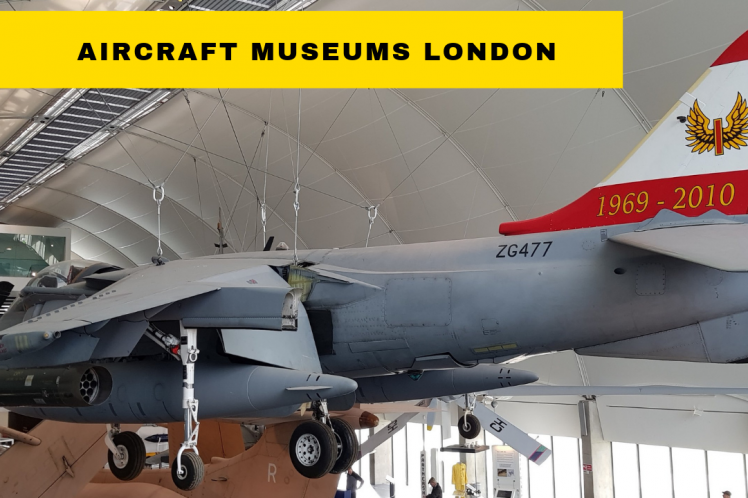 London is home to some superb aviation museums retelling the story of aviation from the early days to modern passenger aircraft. It is an opportunity to see some stunning, unique and rare aircraft as well as getting hands on with all kinds of interactive experiences. London Colney, just past the M25, is home to the De Havilland Museum. Britain’s oldest aviation museum, it is also one of the most historic sites in aviation history as it was where iconic aircraft like the Airspeed Horsa Glider, Tiger Moth and Mosquito were developed. Even the first jet liner started life here. The museum contains numerous historic De Havilland aircraft from the very early days of flying, through to modern ones. It is also a working museum, with volunteers constantly involved in new aircraft restoration projects. For guests staying with us at our Kensington hotel restaurant, this is one not to be missed. Just a short distance, southwards brings you to RAF Hendon and the story of the world’s oldest air force founded 101 years ago. Free to enter, the museum consists of a series of massive hangers telling different aspects of the RAF story. Displays include lots of interactive computer displays offering the opportunity to discover more information, play games or design an aircraft. There are lots of iconic aircraft to be seen around the site including a rare flying boat, iconic Spitfires and Lancaster bombers as well as Flying Fortresses, Hurricanes, a Harrier Jump Jet and a Stealth fighter. There are also many air force vehicles as well as helicopters, such as the air sea rescue helicopter piloted by Prince William, Duke of Cornwall during his military service on the Welsh coast. Also available are various special experiences, which do incur a special charge. Typical experiences include the opportunity to sit in the cockpit of an iconic spitfire or take part in a Dambusters raid. The Dambusters Experience is totally unique, involving 4 D technology. It is the closest anyone can get to actually being in the aircraft during that historic mission to breach the dams. Wearing a special vest and headset, you sit in a mock up of a Lancaster bomber, and within seconds you are transported back to the 1940’s. The aircraft seems to vibrate around you, the crew undertakes flight checks and tasks, and suddenly the dam can be seen. Water ripples only feet away from the outside of the plane as it flies low over the reservoir en route to bomb the dam. Even the shockwaves of the bombing can be felt – as can the impact of a bomber crashing in flames on the hillside. Book any of the hotels near South Kensington and head down to Greenwich for the Emirates Aviation Experience, where you can take part in a simulated flight and land a modern A380 plane. You can visit the cockpit, and find out what happens behind the scenes during a flight as well as the preparation needed beforehand to actually get it off the ground.